The Ocean View Police Department is one of many in the state and across the nation participating in the U.S. Drug Enforcement Agency’s (DEA)National Prescription Drug Take Back Day, which aims to provide a safe, convenient, and anonymous means of disposing of prescription drugs. The takeback will be held on Saturday, October 27 from 10 a.m. to 2 p.m. Local collection sites include Dagsboro Police Department, Delaware State Police Troop 4, Ocean View Police Department, and the Selbyville Police Department. The DEA started the program back in 2010; the Ocean View Police Department started participating in 2011. Then, in 2015, the department learned about CVS Pharmacy’s Safer Communities Program, which provides departments with medical return boxes free of charge. According to the 2016 National Survey on Drug Use and Health, 6.2 million Americans misused controlled prescription drugs. In April of 2018, the DEA was able to have a total of 949,046 lbs. 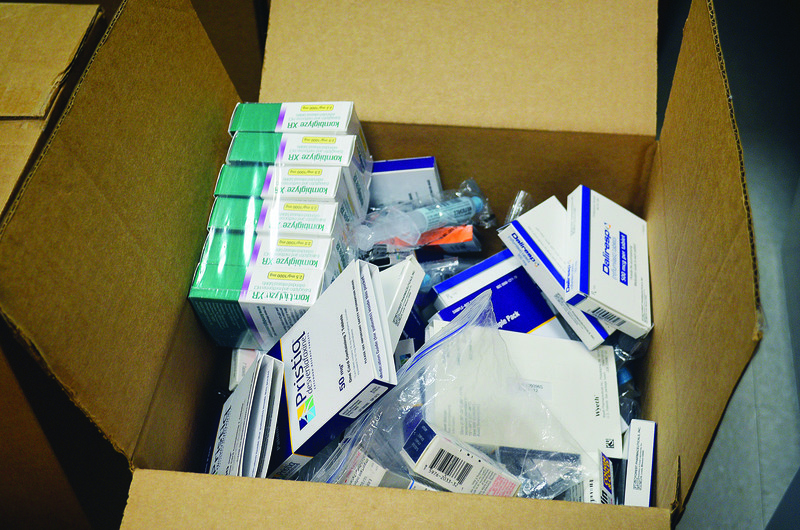 of medications collected from nearly 6,000 sites across the country. “I’ve had anything from oxycontin to shampoo. We’ve had dog flea and tick collars in there. We get the full gambit,” said Hall, noting the only thing the department does not accept in its drop-off box are needles. Hall said while the DEA only holds collection days twice a year, the department collects on a daily basis. Hall said offering a safe way for citizens to dispose of the medications help address area crime. Hall said he hopes the citizens throughout the area will take advantage of the service, if not on Saturday, throughout the year. For more information about the U.S. Drug Enforcement Agency’s National Prescription Drug Take Back Day and to find collection sites in your area, visit takebackday.dea.gov. The Ocean View Police Department is located at 201 Central Avenue in Ocean View. The department can be reached by calling (302) 539-1111.